Well, today's the big day... 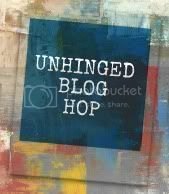 It's Unhinged Blog Hop day!!! The links open at 8:00. All you have to do is follow A Little Unhinged, and Figuring it Out as we Grow via GFC, RSS, Facebook, and/or Twitter. Really whatever social media tickles your fancy tickles ours too : ) Leave a comment to let us know and we will both gladly follow you back. That's it. I told you it was easy! I hope you all have a great time and use this hop to meet some other amazing bloggers, and maybe even some new friends : ) Happy hopping!!! I thought I had already joined yours... I think I tweeted about it before I actually did it : ) The joys of having two little ones "helping" you : ) I'm all linked up now! Thanks for stopping by! I'm a new follower, thanks for hosting the blog hop! I think I'm in 3 as we speak, and I also joined a couple for my Facebook and Twitter as well! I love the chaos : )Thanks for stopping by, and good luck with your hopping! Thank you for coming over and taking a look at Online Mummy. Please feel free to start following.